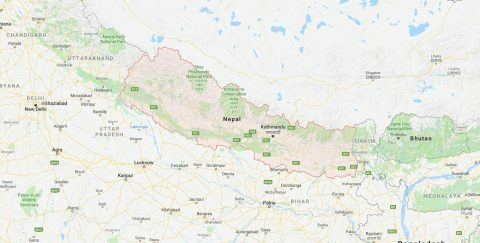 The Federal Democratic Republic of Nepal is a country located between China and India in the Himalayas and is home to 26.4 million people. The name Nepal has existed since the iron age and the country was part of the Silk Road as well as being the birthplace of the founder of Buddhism. Nepal was the last Hindu monarchy until 2008, when the country became a republic. The transition from monarchy to republic has proven difficult, with high levels of poverty and malnutrition, resulting in Nepal being considered one of the least developed nations in the world. Progress is being made however, with the government declaring its intention to improve development and living standards. Tuberculosis ranks as one of the top ten causes of death in Nepal. Since the turn of the millennium, progress in TB-control has been fluctuating; last year’s mortality rate of 56,000 is roughly similar to that in 2000. In 2015, Nepal was removed from the list of MDR-TB high burden countries, although much work remains to be done to reduce the incidence of drug resistant tuberculosis. As part of the Dutch Government funded DGIS-project, KNCV provides long-term technical assistance to the National TB program of Nepal. Through work on the ground, KNCV aims for more effective use of available Global Fund funding in order to control and eventually eliminate tuberculosis.